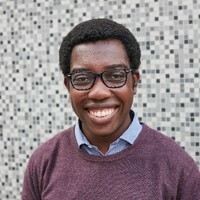 Amatey Doku is the Vice-President (Higher Education) of the National Union of Students. I have heard Michael Barber, chair of the Office for Students (OfS), describe the higher education sector as a garden many times. He likes to explain that the role of the regulator is to curate and nurture this garden in a risk-based way. However, when it became clear that OfS would not step in to save financially struggling institutions, and leaks (rumoured to be from the Augar-chaired advisory panel) suggested that Damian Hinds’ vision of differential fees could become reality, it’s time to stop thinking about market exit as an abstract threat. Letting an institution go bust isn’t about pruning a few hedges to let the light in for challenger providers to flourish; it risks creating a crater which would throw the whole vista out of shape. The danger of this would only be exacerbated by differential fees. Fees of £6,500 for arts subjects and £13,500 for STEM, without a government subsidy, would drive most institutions to the brink of financial collapse. While some elite institutions would be borne along by their reserves and reputations, others would very quickly start to suffer. Limited fee revenues means limited income to invest in student recruitment and experience, beginning a vicious cycle of under-investment, under-recruitment and limited income. With their coffers running dry and no governmental help, institutions could be left to welcome a private takeover or simply to shut down. Creating a market where competition forces closure was the aim of Jo Johnson’s shift from funding council to regulator via the Higher Education and Research Act. In exacerbating this, moves towards differential fees are only completing his work, to the detriment of the sector as a whole. The impact on students is already being felt. When visiting students’ unions, I see worrying trends starting to emerge. Flagship courses at established institutions are being taught out. Class sizes are growing, as lecturers are asked to teach larger cohorts in pursuit of fee income. Already underfunded, the strain on student services and support is only growing. As universities begin to lose income, the things that can impact students the most will be the first things to be cut. Support infrastructure and technical or pastoral staff who make daily interventions in students’ lives: the librarians who notice when students are forced to sleep in the library due to running out of rent, the mental health support staff who support vulnerable students, and the technicians who take time to help students truly understand their subject. Student protection plans were promised as a panacea to the ill effects of marketisation. But when universities are already under strain, the sector cannot sit by and wait until an institution is forced to close to test them, as if observing an abstract experiment. And let’s not forget that the impact of a university closing would hurt local communities too, causing untold economic damage and job losses. To repurpose a phrase: our universities are, simply, too big to fail. Faced with the realisation of the havoc that institutional collapse will wreak on their local areas, it is not inconceivable that other government departments, local councils and MPs, would be moved to step in to intervene before institutional collapse. A HE sector which only survives – abandoned by its own department – until other parts of government step in, is not the globally recognised sector we want to be a part of. Sam Gyimah’s resignation ushers in a new period of even greater uncertainty. His successor will have to dive straight into the details of the Augar, TEF and ONS reviews – as well as whichever battles he or she might want to pick on top of these. It is imperative that a string of universities under financial collapse is not added to this list. We cannot allow ourselves to reach a stage where national policy levers are being pulled to force this in the name of misguided and harmful attempts to develop a “healthy” market. NUS is lobbying to prevent differential fees being a formal recommendation of the post-18 review, and we would implore those across the sector who can see the damage this will do to join us.